An endless expedition to explore the world, vivid cultures, and local food delicacies. Mauritius is enormously famous for its beautiful beaches, crystal clear water, white sand beach, and water sports. And it is worth the fame. Apart from the beaches, there is much more to explore in this heavenly island. Hence, I planned a road trip to the south of Mauritius with my friends. We were staying in the west of Mauritius and it takes approximately one and half hours to reach towards the south. We started at 8 a.m. in the morning, and as soon as we entered the southern region, beautiful green covered hills welcomed us with drizzles of rain. Driving across these hills, clouds touching the ground, with a view of rainbows forming, is the feeling of roaming around heaven. 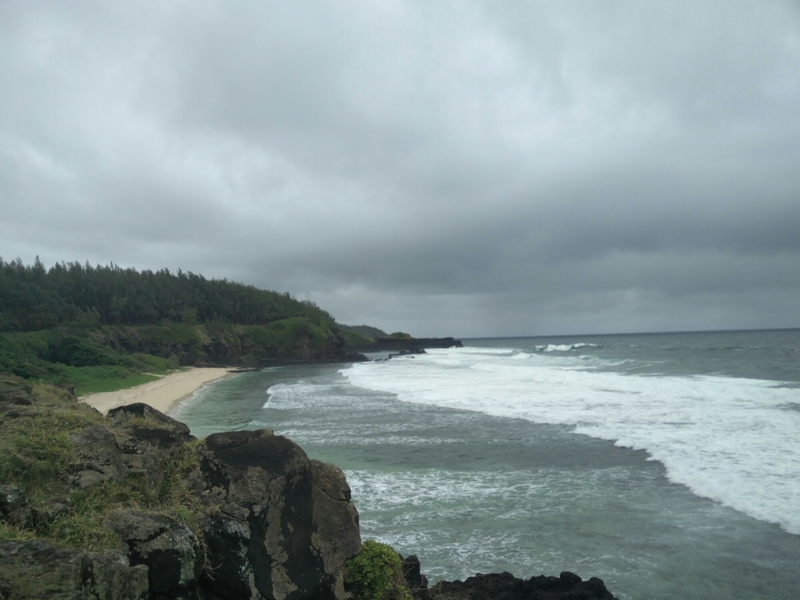 Our first destination was Gris-Gris, which is a point at the edge of a mountain cliff from where you can see an entire Ocean. The weather was absolutely delightful. We moved towards the end of the cliff, I was quite scared since the path was edgy and risky enough to fall. 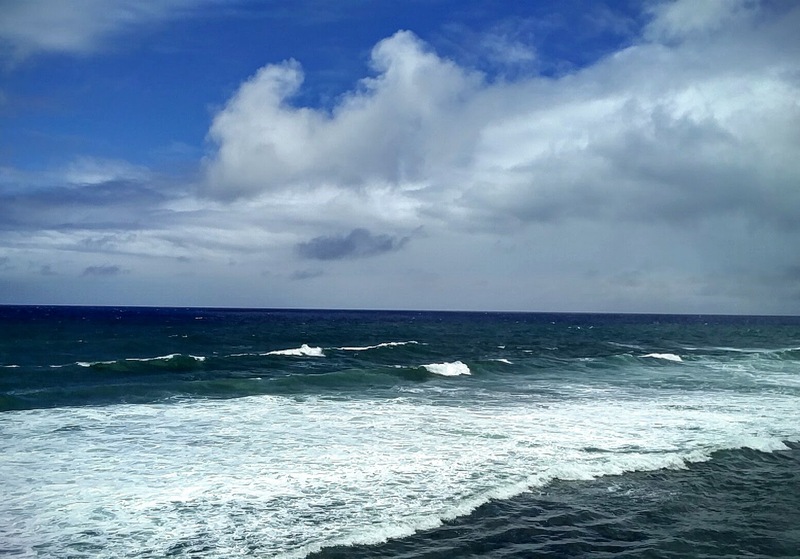 However, we reached the right spot, sat there, enjoyed the blue ocean, looking at the waves, listened to its sound… breathing in life with this view. 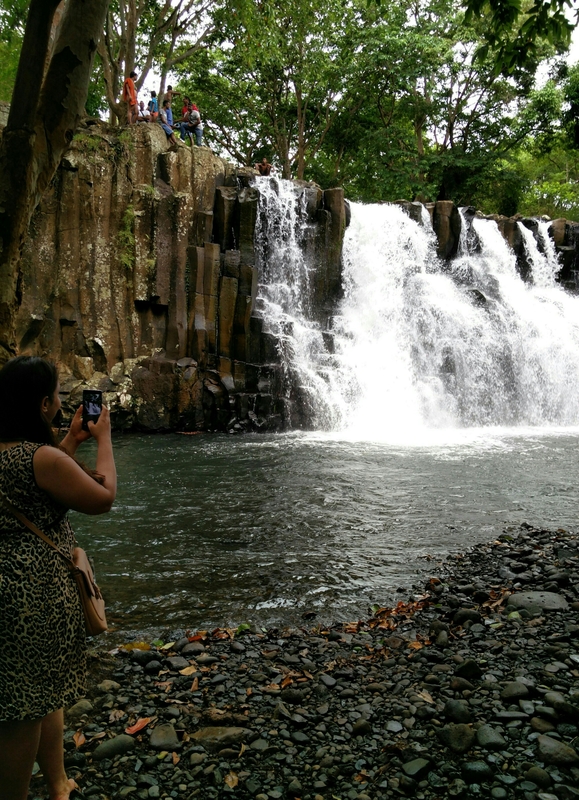 After spending some amazing time, it was time to start for our next destination, Rochester Falls. The drive from Gris-Gris to Rochester falls is mesmerizing. 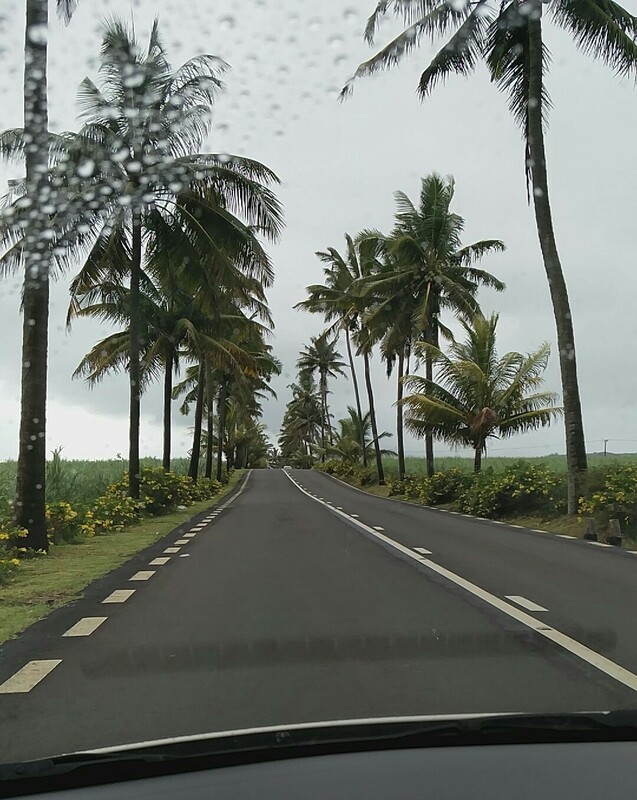 The roads are surrounded with coconut trees and bright yellow flowers on the sides. Rochester falls is located in the middle of a jungle. The flow of water was so intense that we could hear its sound from far while tracking down in the jungle. On the very day, it rained, which made it more slippery to track. Soon we managed to reach the falls and Oh! So breathtaking it was. The water was blissfully cool and clear. We sat at a distant and I kept looking at the falls. I never saw a waterfall from so close. I made an imaginary house at that wonderful place. Life would be incredible if I will get to see this waterfall every morning when I wake up. Although I did not want to leave Rochester Falls, my companions made me get going, as we had to cover more destinations. We left for Bai-du-cap, which is a viewpoint that is made at a height from where we can view the ocean at one side and entire island on the other side. This viewpoint is not the only specialty. Bai-du-cap is also known for one of the world’s best coastal roads. While driving along the coastal highway, with a view of mountains on my right and beautiful blue ocean on my left. We stopped on the way to having lunch. I parked our car near a beach. The place we sat for lunch had an incredible view of a small island. The waves were touching our feet. We were having veg biryani that I cooked early morning for our trip. Finding good vegetarian food on a journey is pretty difficult, hence home cooked food is best. This was the time of my life. Having delicious food, breathing fresh air, watching the sea, and letting it touch my feet. What an incredible feeling it was! It was an amazing trip. Wow! I am looking for similar experience in Mauritius next month and have hired a car which i will self drive. Thanks for sharing this!